Content marketers who have been in the game for a while know that sooner or later, tactics involving free social media, search optimization and email marketing arrive at a brick wall. For many brands, there is a lot to be gained through these strategies, but almost always, there is a maximum benefit of sorts that can be obtained on a regular basis. Brands that want to expand their reach above and beyond what is possible through these strategies almost invariably began eyeing PPC campaigns as one way to do that. Whether you’re new to the world of PPC or have been dabbling in campaigns for a while, continue reading to find out about PPC campaign mistakes you definitely don’t want to make. Many PPC campaigns today are targeted toward one very large and very rapidly growing group: mobile devices. When your ads are not being engaged with, a lot of worries come to mind. Most of the time, a low click through rate is indicative of low ad visibility, which usually means one thing: your ad is not ranking well. On mobile devices in particular, it is crucial that your ad appears first or second in order to make the campaign worth it. On desktop devices, you can rank in the top three or four ads, but mobile devices’ smaller screens mean fewer people are going to be pinging servers for very long. Your ad ranking are often determined by the quality of the ad (Quality Score on Google) and your maximum cost per click bid; make any adjustments necessary to boost your rankings. Regardless of the mode through which your brand operates, phone-based leads are a valuable – perhaps the most valuable – form of contact and interaction you can have with an individual. Most advertisers now have click-to-call ad functions that allow users to simply tap on your ad from their mobile device and be on the phone with you in seconds. Whether you operate a brick and mortar institution or run an online brand, a phone service for fielding these inquiries in immensely valuable. In this case, there are no landing pages to worry about and no optimization features: just you and the potential customer. 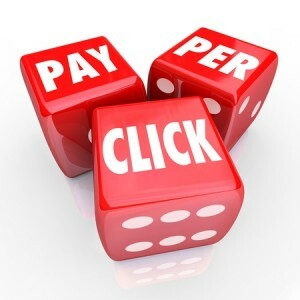 The failure to engage interested parties this way significantly reduces the quality of your PPC campaigns. Technology moves so rapidly that it can be easy to forget how far we have come – and particularly, our mobile devices – in the past five years. Several years ago, basic mobile landing pages with minimal detail were necessary due to small phone screens and slow internet. Compared to five years ago, the size of the average phone screen has doubled in size and the average download speed has more than tripled, making it possible for you to be pinging servers with rich, up-to-date landing pages. Users who see something that looks plain, outdated or otherwise old will likely not convert. Making such a mistake in your PPC campaign can waste valuable dollars and leave you with absolutely nothing to show for it.